The effect of reading different Daskams(Chapters) as mentioned in the Narayaneeyam book published by Giri Traders. Thanks for uploading this information. I used to read Narayaneeyam earlier. But it was not in sloka form. I must buy a new one soon. Can you pl tell which part is good to experience the Lord. If you can read Samskrutam (Sanskrit) try SN Sastry's book. 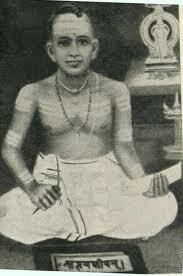 And listen to Edamana Vasudevan Namboothiri's recital you can buy on saptaswaram.com. Some dasakams sung by him are on youtube. Sir.Iam in yur interest of chanting Narayaneeyam.Ihave edamaana vasudevan namboothiri raga vased sargams.i u want ican send.u can send me ur mail od to 9500075342Thanks.